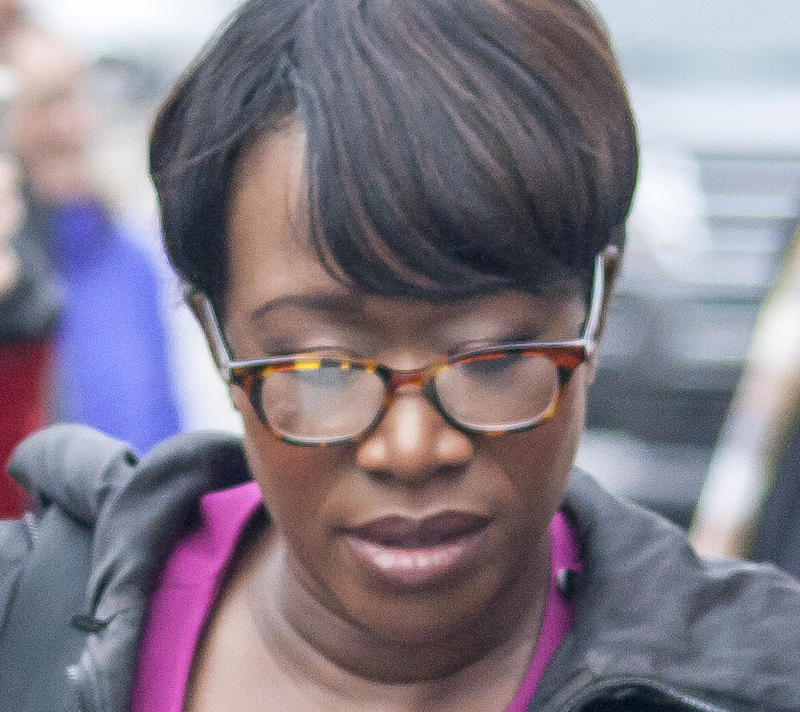 The fact that Joy Ann Reid hails from Florida and has a program on MSNBC has made it difficult to even have appropriate private conversations about her work. But the reality is that Reid is a classic political propagandist, someone who parks liberal/progressive ideology and the values associated with the left at the door to promote the politics of talking points personality and personal destruction, something so common in Florida’s Democratic Party circles. Reid’s shtick if you want to call it that has been for the duration of her show to attack Republicans unmercifully and to take the party establishment line while also floating conspiracies and other spin to justify continued Democratic electoral losses. That’s why as Reid’s previous commentaries have surfaced she has been defended by party establishment types playing identity politics while attacking true progressives who seek a fairer, more equal and truly color-blind society. Reid’s commentaries that are controversial aren’t about race or societal problems but were weaponizing of opinions often floated by Democrats in Florida during the times they were written – cynically attacking Charlie Crist (then a Republican) over his sexuality (a common whispered topic among desperate Florida Democrats at the time), Senator John McCain, the Virginia Tech shooting and any number of other subjects. Reid isn’t an ideologue or a champion for African-American women (outside the Democratic Party political establishment) – she’s a political hack and has proven it time and again. Reid’s partisan approach differs dramatically from the intellectually-potent one presented by Melissa Harris Perry, her predecessor at MSNBC. Harris Perry gave a very direct and consistent read on issues, be they racial or societal. Unlike Reid, she didn’t spare members of the Democratic establishment or Clintonian bloc that controls the party criticism and did not float zany conspiracy theories to justify Democratic failures. That Harris Perry was sacked from MSNBC for doing far less wrong than Reid (who as of this writing continues to be employed) is a strong indictment of MSNBC, NBC News and its overtly political bent, making it not dissimilar to FOX News. Harris Perry often tackled the root causes of racism in our society in her programs and often laid the blame at the feet of the economic and political establishment in BOTH parties. The cancellation of her show was bad enough, but her replacement by Reid (a seemingly token gesture since both are African-American females) was even worse, given Reid’s perspectives. MSNBC as an entity has in many ways chosen to mimic FOX News, and Reid has fit the bill of what the network strove to be prior to the 2016 election and in some ways since. This is completely at odds with the the ethos of the left, where we as progressives are free-thinking well-read, worldly people. But for every enlightening Richard Engel special on MSNBC or Andrea Mitchell report, we are subjected to hours of Democratic Party and Clintonian hackery which would be more befitting of the conservative entertainment set that has dominated “information” distribution on the right now for two and a half decades. Progressives have always valued a give and take on issues and enhancing what is force fed to us by media outlets with other resources, reading analysis and personal experiences. This makes us fundamentally different than conservatives who simply accept the premise of President Trump’s conspiracy-laced tweets or what Newsmax writers or FOX News anchors say as gospel. Contrasting points of view are rarely presented in the conservative media, even when publications such as the Weekly Standard and National Review try and intellectualize their arguments and take on Trump, they are wholly rejected by the masses in the GOP. The conservative press does have two tiers though – the hackish talking points win at all costs entertainment press which includes WEst Palm beach-based Newsmax (published by Trump friend Christopher Ruddy, who also has alliances with many local Democratic politicians) , FOX News, Rush Limbaugh and (alleged) serial-sexual harasser Bill O’Reilly and the more intellectual yet narrowly focused publications such as the Weekly Standard, National Review, among others To me all of these publications are dangerous and simply represent various degrees of bias and propaganda of the right, though many Democrats have adopted the talking points of the later group in opposing Trump. From where I sit, that Harris Perry was so easily sacked over an email that complained about her program being preempted, but Reid continues to be employed for much worse is a clear indicator that intellectualism and independence is valued far less by NBC than adherence to the Democratic Party’s talking points, Clintonism and the anti-progressive establishment of the professional left. Whatever happens to Reid in the future doesn’t change the reality that she has been given far more rope than Harris Perry was. The reasons seem painfully obvious – if you tow the Clintonian establishment line, you get protected. If you don’t, you’re expendable. This makes many of us on the left not that different than those on the right. It’s a sad reality of today’s polarized political and media culture. Sorry, but she’s right on target almost always. Provides facts vs “propaganda” and is tough on liars and that is why the right wing hates her, and let’s not forget she’s a women telling calling them out, and thinking people know the Rs hate that. Nope, Joy is right on the mark and when she is wrong, she owns it. Cu the crap. MSNBC is no friend of the left, or progressives, or even the Democratic Establishment. They pointed a camera at an empty stage, waiting for Trump to appear, and televised all Trump’s rallies from start to finish. Meanwhile, Bernie got 10 seconds, at best. Or they would show him making a speech in a tiny corner of the screen, but they wouldn’t let us hear what he was saying. The media IS the enemy of America. Lots of Democrats now coming out today and telling us how outrageous Trump’s recent tweet is. It’s one more example of how out-of-touch Democrats sound when they reflexively oppose everything Trump says. Trump said MAGA, so Obama said America is greater than it’s ever been. Which was a hell of a slap in the face to all Americans who had lost their homes, jobs, and pensions under Obama’s watch. Good to see you writing about politics again, Kartik. Just caught up on your posts. I totally agree with your comments about Democrats counting on demographic changes to win elections. I am really offended that liberals and progressives and Democrats want me to die off soon, so they can get on with building a more beautiful, browner America. They want lots of lots of immigrants so they can replace the population of America with ‘better’ people who will vote with them. I now consider myself politically homeless. ← Congressional District 9 and identity politics – A risky game?